Golf has a long history at Pocono Manor Resort and Spa, with hosting All-Star Golf, the LPGA, several PGA Senior Events, and numerous golf group outings. In fact, since opening in 1912, our iconic 18-hole East Course has been host to many of the legends, including Sam Snead, Arnold Palmer, Tommy Bolt, Gene Littler, Doug Ford, Jackie Burke, and Art Wall Jr.
Our Championship East Course was designed by golf architectural masters - Donald Ross and William Flynn. 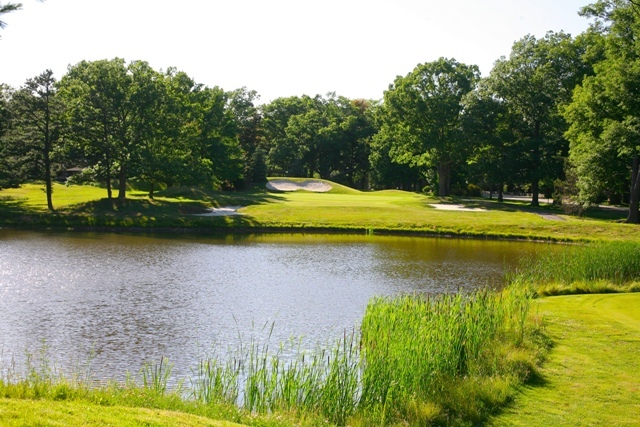 The course offers players unique challenges and natural features in the form of water hazards and grass bunkers, alongside breathtaking views of the Pocono Mountains. Golfers find that Pocono Manor Resort and Spa is the perfect getaway, whether you choose to organize a golf outing, brush up on your putting, relax with a luxurious spa treatment or enjoy a few of our various recreational activities, we have something for everyone.